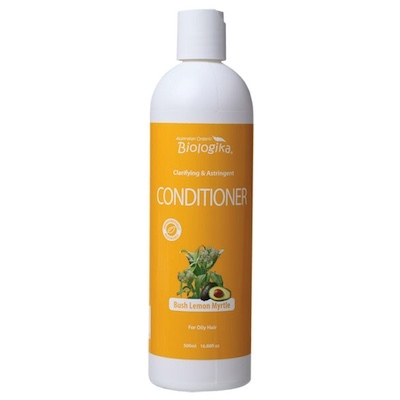 A powerful astringent conditioner formulated to benefit oily hair and scalp. Containing witch hazel which is used for its highly astringent and soothing effect on the scalp and hair; organic pineapple and organic papaya extracts work in synergy to purify, refresh and eradicate excess oil build up; biodynamic avocado oil is added for its balancing emollient properties and its vitamin A content, leaving your hair clean fresh and enlivened. Ingredients: Purified water, biodynamic avocado oil, natural cetyl and cetearyl alcohol, organic extracts of Pineapple and Papaya, locust bean gum, witch hazel extract, glyceryloleate, organic lemon myrtle pure essential oil, tocopherol, citrus seed extract, olive leaf extract, potassium sorbate and citric acid.